Our behaviors are guided by logic but decisions are ultimately made by an ephemeral part of the brain. That is WHY influence is inspired by passion. So WHY should greening of our built environment be a passion? I am an architect who is firmly grounded in science and technology. Putting that aside, my presentation attempts to inspire by communicating from the heart WHY I believe greenroofs are an important piece in the puzzle for sustainable development. Meg Needle, AIA, GRP, LEED AP B+C, CDT has been an architect with Lord Aeck & Sargent for 16 years as a core team member involved in all phases of architectural practice, from programming through construction administration, on a variety of commercial and institutional projects. 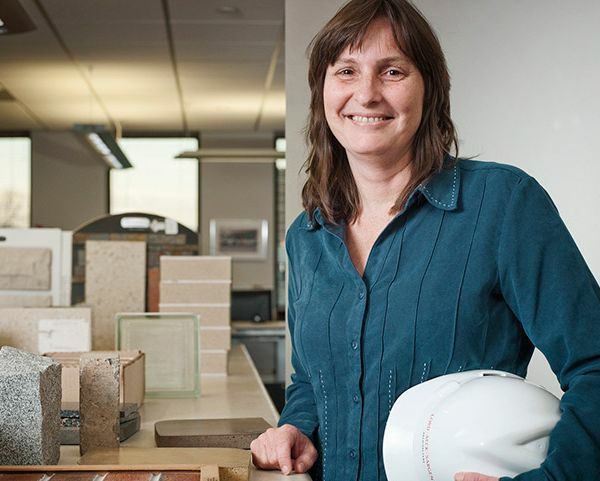 Meg's current role at Lord, Aeck & Sargent utilizes her in-depth knowledge of construction technology, keen interest in sustainability, and problem solving abilities to manage some of the most challenging projects. 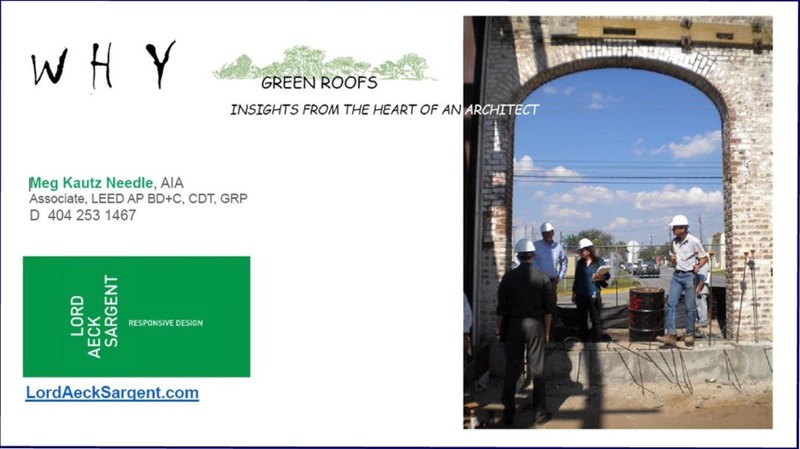 In 2004, Meg was a key designer for the Gwinnett Environmental and Heritage Center extensive green roof and her research on that project prompted her on-going professional participation in the green roof community and with the firm’s green roof projects.